If you’re looking for reliable, premium quality timber fasteners for strong timber to connections, browse our range of 76mm to 100mm wood screws below. 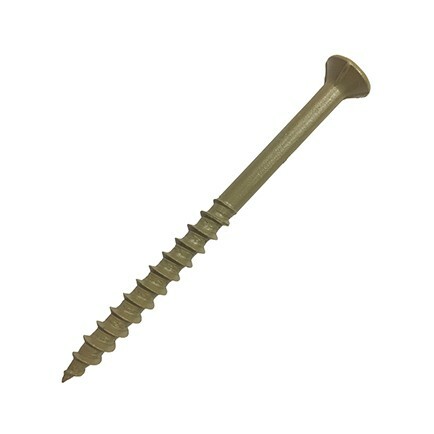 100mm wood screws, also referred to as 4-inch wood screws, are one of our most sought-after lengths. Find your local distributor here. View our range of 76mm+ screws including 87mm, 90mm screws and 100mm screws for timber to timber applications. Carpenters Mate self-drilling fasteners are designed by carpenters, for carpenters looking for dependable and reliable products to significantly improve time efficiency and safety, when fixing timbers. Our products are ideal for use in loft conversions, decking, roofing and structural projects. 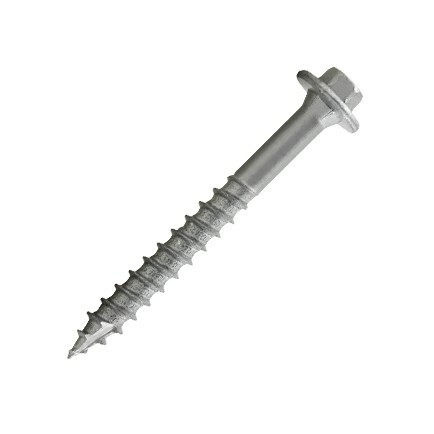 Our 76 to 100mm screws are specifically designed for usage with standard UK timber sizes. With no need for pre-drilling, all that is required is your Carpenters Mate screw, a cordless drill and a drive tool (free in every box). Our screws require less tools and components needed to fix timbers in comparison to the traditional M10 coach bolt. Pro Hex Head Screws: our quality Pro Hex Head Screws are made from carbon steel, specifically C1022 which is a low tensile and low hardenability carbon steel. Each of our Pro Hex Head Screws have also been case hardened using Geomet 500, which is proven to withstand 2000 hours in salt spray. 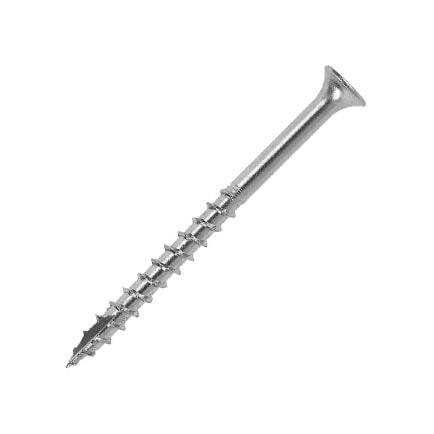 Flat Head Screws: the premium Flat Head Screw has been designed and developed specifically for sheet materials, and insulation and roofing applications. The flat head feature provides increased holding power for stronger timber connections. HD Hex Head Screws: our HD Hex Head Screws are well suited to heavy duty structural projects. The extra-wide washer head increases strength and the holding power of timber connections in decking, flooring or loft conversion projects. Exterior Wood Screw: the Carpenters Mate quality Exterior Wood Screw features a self-countersinking square drive head which increases the strength and power of timber-to-timber applications. Stainless Steel No.10 Bugle Head Decking Screws: Our No.10 Bugle Head Decking Screw is made from stainless steel, which is perfect for saltwater areas. Our No.10 Bugle Head is specifically manufactured from 316 grade stainless steel, which has a higher % of titanium thus greater corrosion resistant properties. Carpenters Mate is the UK’s original self-drilling wood screw supplier. Our screws are tried and tested by the trade and as a result, we have become a reliable brand and a trusted provider of quality self-drilling wood screws. With over 800 distributors across the UK, our innovative products are changing the way the UK fixes timbers. How many 100mm screws will you need? Our CalcuMate App helps users to find out how many Carpenters Mate screws you need per joint to meet compliance standards. The CalcuMate App is simple and easy to use, simply enter a few details about your joint and the app will return the exact amount of screws you need for each joint for loft conversion and multi-member spacing projects. You can find out more about our CalcuMate App on our website or down the app via the App Store or Google Play Store.